Note: We’ve updated the removed file picture, since we accidentally used the Ocarina of Time 2D take down notice instead of the Paper Mario 3D Land one. Blame the fact the same lawyer was apparently involved. It’s the second fan game developer interview here at Gaming Reinvented! And this time, we have another interesting figure from the community who has agreed to be interviewed, DJ Coco from Mario Fan Games Galaxy. 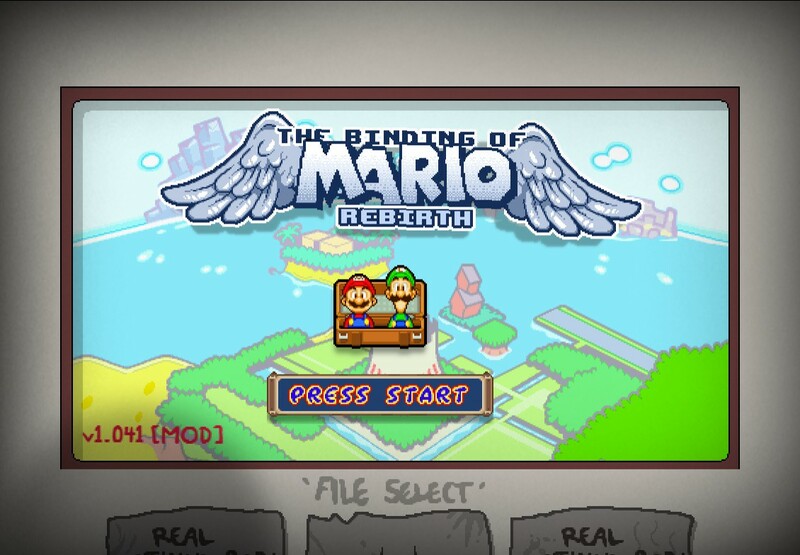 It’s a 3D fan game that mixes together Paper Mario and Super Mario Land in one cohesive gaming experience, to the point it’s arguably a better Paper Mario game than Sticker Star. Meanwhile, the other two happen to a fantastic retraux Super Mario Land sequel and a fully 3D Mario Kart title made for Windows computers, so they’re certainly some of the most well designed and technically impressive fan games around. So with that said, let’s begin the interview…. 1. What’s your background outside of fan games? Can you tell us a bit about who you are in real life? I rather stay anonymous on the internet. All I will say is that I started programming at around the age of 13, and am currently studying game design with Unity at college. 2. What do you think made PM3DL one of the most well-known Mario fangames out there? I think it might be the lack of 3D Mario fangames. Paper Mario itself is also very popular, and I can see people being excited about a Paper Mario fangame after being mostly disappointed by Sticker Star. I think that sparked the interest of many people, though I guess a lot of luck was involved too. 3. Is there anything you could have done differently about said game, or did you have some ideas that ended up being scrapped? I probably could have decreased the difficulty in the latter levels, as well as polished the game a little more. I think some levels could have used a few adjustments. My motivation was running out and I just wanted to get the game done. As for scrapped ideas, I had the idea of adding 2 additional DLC worlds where you play as Luigi. I had various level ideas, but I just couldn’t get the motivation to create them after the game was complete. I wanted to work on something new. 4. What was your reasoning behind the plot/characters in Paper Mario 3D Land? 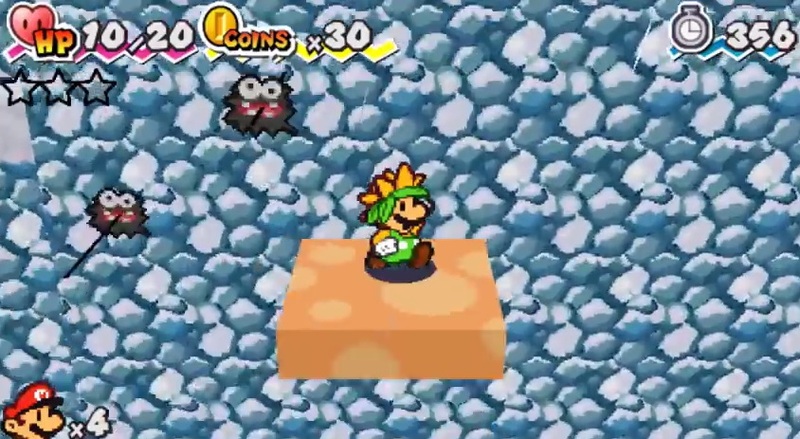 I don’t think Paper Mario 3D Land has any kind of plot or characters. The plot is usually so unimportant in Mario games I didn’t even consider adding a princess kidnapping cutscene. The characters are all from Super Mario 3D Land, the big inspiration behind the game. 5. Of all the levels/bosses in the game, which ones are your favourites and why? Above: Hazerblade’s Galleon Grapple. You have to ride sawblades like a spinner to take down the boss. I think the coolest level in the game is the airship stage, Hazerblade’s Galleon Grapple. I had tons of fun designing it, and I thought the level design turned out really great. I also loved the boss battle of that stage. I was really proud of the idea of taking control of the grinders to take the boss apart. In general I think World 3 has the best levels. I also really enjoyed designing the giant pokey boss fight. A friend of mine, Chaoxys, helped me out with the ideas for those bosses, which made them really stand out, in my opinion. 6. Were there any regrets in regards to the game? Levels you’re not satisfied with? Definitely. I think the last world wasn’t very good. I tried making the levels as cool as possible, but I never really was satisfied with them. Especially due to their complexity, weaker computers can’t handle those levels at a decent speed which makes them pretty frustrating. The last level in particular had too many gimmicks forced into it, in my opinion. I just had so many ideas and I wanted to implement them all. The result was a level way too long. 7. What was the inspiration between the Mole Suit power up in the game? Or the Flower one? A friend of mine came up with the mole suit idea. I thought it was great. It sounded fun to use, and fun to program – and since he was willing to provide the sprites I was ready to implement that unique idea. He also came up with the dandelion – I initially had a custom flight item planned to make platforming easier, but I had the idea of that item being a strawberry. He turned it into a dandelion which fit much better, so we went with that. 8. So how do you usually come up with ideas for your fangames? By playing the official games. Most of my fangames are clearly inspired by a certain Nintendo game. If I like what I see, I usually try to take that and make my own thing out of it. 9. How long did it take to make Speed Strife, PM3DL and Country? PM3DL and Speed Strife took both about 2 months to complete. Ironically, the simple 2D Country game took the longest, because I made all of the tilesets myself. Super Mario Country also was initially scrapped, but much later resumed because I thought it was a really good game. I can’t recall exactly how much time went into it, but I’d say about 3-4 months. 10. How much of the inspiration from country came from this concept in the Concept Corner thread? That is really trippy, because I never saw that post at all. It’s just a huge coincidence Yoshbert came up with a very similar idea there. I’m not entirely sure, but I think development on my game also began before that post was made. 11. The game is pretty difficult. Do you like making such difficult to complete fan games? As the creator of a game, you naturally have to play it a lot, test it hundredths of times to make sure everything works. Due to this you will become very good at it, and the game will seem much easier to you than it really is. I also like a challenge so I try to create something that even I cannot complete that easily. What seems mildly challenging to me is mostly brutal to others. I received lots of complaints about that, so I try to make my games easier nowadays. 12. Was the game ever intended to be a standard Super Mario Land 2 remake? It has a lot of homages to it. The game was initially just supposed to be a game in the style of Super Mario Land 1 with the artstyle from Super Mario Land 2; so to speak just a linear adventure with no world map. However, when I replayed Super Mario Land 2 I just realized how much the map added to the game, so I wanted to implement it as well. I also liked the zones from SML2 a lot, so I paid some homages to them, while expanding upon the existing level themes myself, adding some charm to the game. 13. How did you design the monochrome graphics for the game? What were your inspirations for the art here? I am a sucker for retro games. I just love the retro art style – be it 8-bit graphics on the NES or the simplicity of 4 colors on the Gameboy. Especially for a SML2 fangame that art direction felt very fitting. What is mostly used is 16-bit graphics anyway, so I felt it would also make my game look less generic. 14. So, the soundtrack. What was the reason for choosing the songs for the game (like the controversial star theme)? Most of the songs are right out of Super Mario Land 2, with a few exceptions. Some other songs are just songs I knew that felt fitting. As for the star theme, I heard the “Spin Me Right Round” Remix play in a Super Mario World hack. I already liked that song and I was surprised by how well it fit. Since I always thought SML2’s starman theme was really… boring, I thought it would be nice to replace it. 15. Were there any interesting things you had to cut from Super Mario Country? The Bonsai Zone was almost cut, but I’m glad I eventually decided to add it in after all. 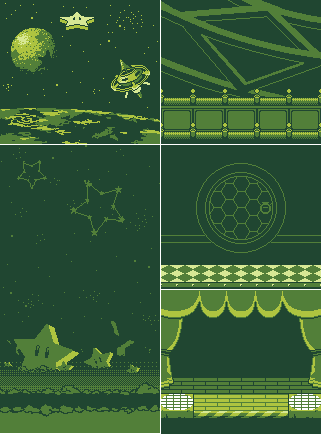 There was also an extra zone planned with a Green Hill level, and a remake of the original SMB 1-1, but both of those things were overdone so I scrapped it. Another level of the extra zone would have been a level based on candy. The inspiration behind it was a sprite I initially made for the raft level. It was supposed to be a wooden pole, but ended up looking like a pretzel stick. It looked like a really good pretzel stick though, so I wanted to use it somewhere. 16. What inspired Mario Kart Speed Strife? I think it’s clearly visible that had to be Mario Kart 8. All the music is from there, as well as many track ideas. A sequel to my old Mario Kart fangame “Blazing Wheels” has also long been planned, but I never got around to create one. With the inspiration I got from Mario Kart 8 I could finally create what I had planned for so long. 17. 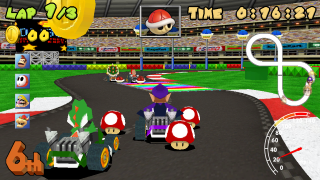 Were there any unique challenges due to making a 3D Mario Kart fan game? What were they? I was using GameMaker: Studio to create the game. It is a good program, but absolutely horrendous for anything 3D. However, I didn’t know how to use any other game engine so I was stuck with it. The lack of a 3D collision system made the game very hard to program. All the slopes had to be hard-coded. I think I spent most of the development time just trying to fix all collision glitches. Especially the angled blocks surrounding the track were a nightmare to code. Level designing also was really difficult because there is no 3D room editor. Above: Making a 3D Mario Kart game in Game Maker was an extremely difficult task. 18. The game seems very much like Mario Kart DS. Was there a reason for choosing this game’s style? The only reason I picked Mario Kart DS models was because they were the only ones available. That, and GameMaker: Studio is very inefficient in 3D, so the simple geometry worked well. Some of the textures are from Mario Kart DS as well. I just picked whatever I could find and felt fitting. 19. 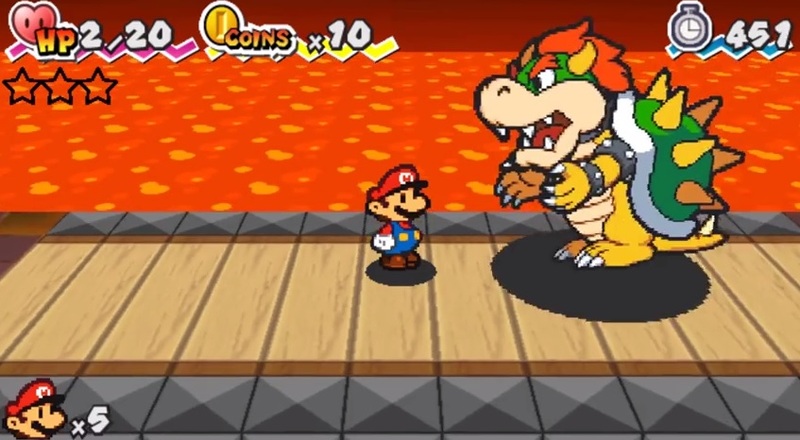 Given the Mediafire upload of Paper Mario 3D Land was taken down, do you worry Nintendo is getting harsher on fan games? I really don’t think so. I think Paper Mario 3D Land just got a little bit too popular for Nintendo – especially because many people claimed they liked it better than Sticker Star. Above: The original Paper Mario 3D Land upload was removed from Mediafire after a Nintendo complaint. 20. A lot of fan game developers seem to want to move to indie game development. Do you have plans to make indie games sometime in the future? Yeah. Mario Kart: Speed Strife will probably remain my last fangame. I decided to quit fangaming before, but Thunder Dragon * inspired me to create a few more. I have many unique ideas, and I think they’re put to better use in things that are my own, rather than things that belong to a third party. * Thunder Dragon is the person that made Psycho Waluigi, Toad Strikes Back and Toadette Strikes, three well loved and highly regarded fan games on Mario Fan Games Galaxy. He was also previously an administrator for the site. 21. What advice would you give any future game developers starting their own projects? If you ever want to become a professional developer, don’t use Game Maker. If you ever want to make 3D games, REALLY don’t use Game Maker. 22. What’s your future plans here on Mario Fan Games Galaxy? Are you working on anything new to the site? Planning to resign? I’m not really that involved in the site design itself, but the mainsite of MFGG is getting a redesign. I put a few suggestions here and there but it’s ultimately up to others. A few ideas I had were to do away with the review scores (which is something most staff members can agree on), show staff-picked games on the new mainsite’s front page, as well as add a Game of the Year banner and badge award. And that ends our second Mario fan game developer interview! Did you like Paper Mario 3D or Super Mario Country? Have any similar experiences in trying to program a 3D Mario Kart title in Game Maker? If so, let us know your thoughts on this interview and those games here at Gaming Reinvented! Because it’s certainly impressive to see how far the Mario fangaming scene has come in the last couple of years, isn’t it? Let’s Interview… Guinea of Mario Fan Games Galaxy!